The domain name for this website is owned by ABC Leisure Group whose registered office is Scarfield Wharf, Alvechurch,Worcestershire B48 7SQ Registered in England No 2860394. The Data Controller of this website is Abacus Reservations Ltd. ,also trading as boat-pay.com whose registered address is 28 Alexandra Terrace, Exmouth, Devon, EX8 1BD registered in England No 04585744. Abacus Reservations Ltd maintain and operate the website and are responsible for the data collection. 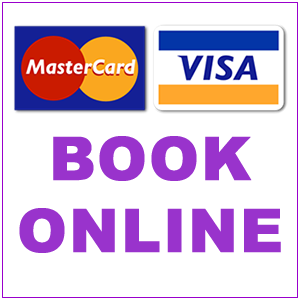 When you make a booking or other purchase via this website, we will collect certain personal data about you and about any other person you include on your booking. The sort of personal data we collect will be information such as name, address, email address, telephone number, and age. We need to collect this information in order to arrange the holiday services you are requesting. We may collect your name and email address and telephone numbers to respond to a query or to provide a quotation for a holiday. If you enter a competition or promotion via this website, complete a survey, or if you report a problem with this website. If you contact us, we may keep a record of your email or other correspondence, and if you call us by telephone. We may collect information about your computer including, where available, your IP address, operating system and browser type, for system administration purposes . This is statistical data about our users' browsing actions and patterns, and does not identify any individual. When you make a holiday booking via this website, certain parts of the personal data you provide will need to be passed to and processed and stored by relevant third parties, such as the boat hire companies, so that they can provide you with the arrangements you require. Some of these third parties may be based outside of the European Economic Area (“EEA”). Organisations that are based outside of the EEA may not be subject to the same level of controls in regard to data protection as exist within the UK and the EEA. Emails go through a non EU service provider and Spam detection service, this information will not be used by the email service provider but we cannot guarantee that there may not be a data breach. If you have made an enquiry or purchase on this website, your personal data may be used by us boat-pay.com and the Boat hire company to contact you by post and/or by electronic means (e-mail or text message) with information and offers relating to products or services similar to those about which you enquired or which you purchased. We will only do this if you did not opt out of such marketing at the point where we collected your contact details. If you have not made an enquiry or purchase, we will only send you information and offers by email or text message relating to products and services offered by us and the Boat hire company if you sign up (opt in) to receive such marketing. We will not pass your contact details to a third party outside of either ourselves or boat-pay.com or the Boat hire company for marketing purposes unless you have expressly agreed that we may do so. After a period of 7 years all identifiable information will be deleted by Abacus Reservations Ltd. unless clients have made a Purchase. The sort of personal data we will delete will be information such as name, address, email address, telephone number, age and IP address. If you feel that we have not responded to a complaint properly, please contact us immediately so that we can rectify this. If we fail to resolve your complaint you have the right to complain to the ICO . The ICO has a general duty to investigate complaints from members of the public who believe that an authority has failed to respond correctly to a request for information. The transmission of information via the internet is not completely secure, and although we will do our best to protect your personal data, we cannot guarantee the security of your data transmitted to this website, therefore any transmission is at your own risk. Once we have received your information, we will take all reasonable steps to keep your personal data secure and to try to prevent any unauthorised access to it. All information you provide to us is stored on our secure servers. Any payment transactions will be encrypted using SSL technology. Our site contains links to other websites. If you follow a link to any of these other websites, please note that these websites have their own privacy policies and that we do not accept any responsibility or liability for these policies or for these 3rd party websites. Please check these policies before you submit any personal data to these websites.